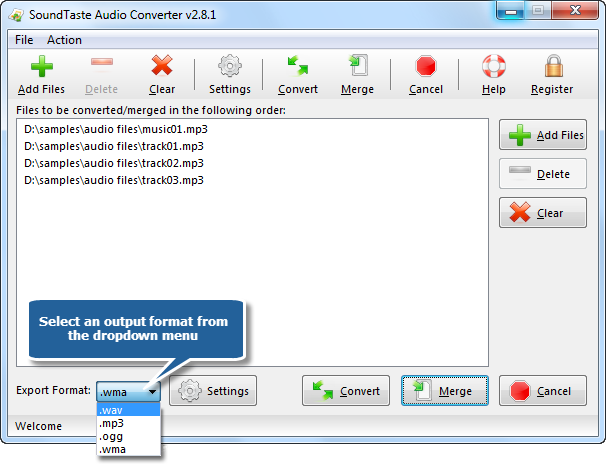 SoundTaste Audio Converter is not only a quick and easy-to-use audio converting utility, but an audio joiner. 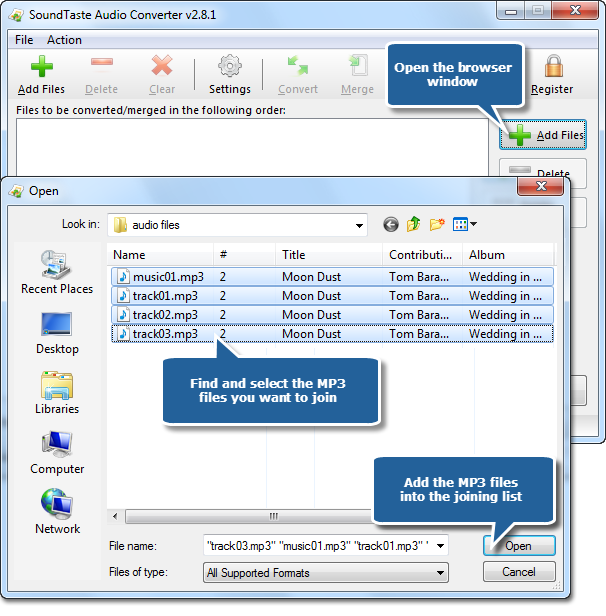 It is designed for personal computer which allows you to join, merge or combine many types of audio files with a high quality result. You can join MP3 music files into most popular audio formats like WMA, WAV, MP3, OGG and so on. It also provides a understandable interface for you. 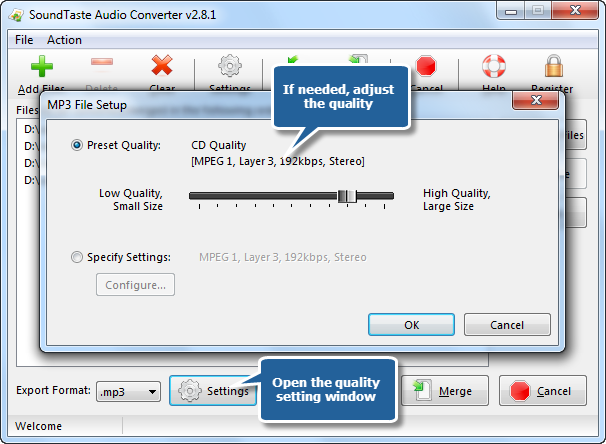 To join MP3 music, launch SoundTaste Audio Converter first. 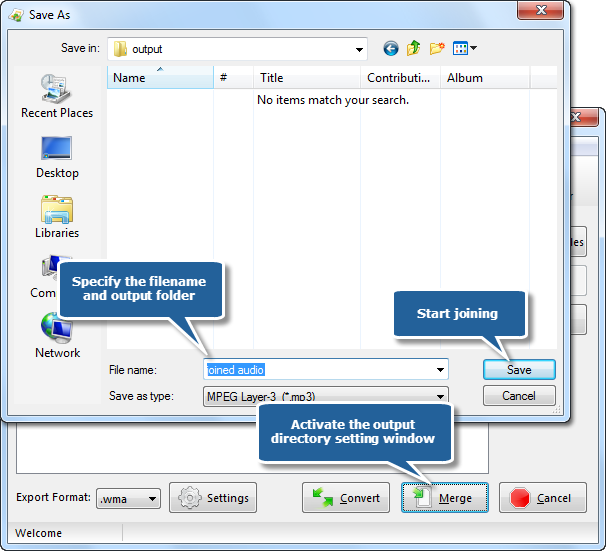 Click “Add Files” to add MP3 files to the conversion list, or you can drag & drop to add MP3 files. You can also remove one or all listed files by clicking “Delete” or “Clear” button. You can change the sequence by dragging added audio files to the defined position. Choose an output format from the dropdown menu of “Export Format”. MP3, WMA, OGG & WAV are well supported. By “Settings” button you can define the output configuration through some frequently used presets. For professionals, it also provides parameter setting to more specifically meet your demands. Then, click “Merge” and a window is activated, in which you can specify the output directory for the merged files. Then, click “OK” to start joining.